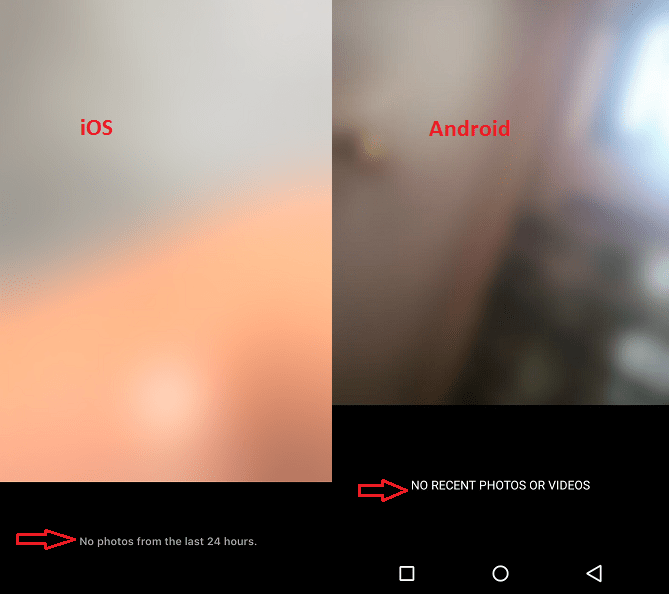 Here is a hack about how you can add Instagram stories from your Gallery. This is quite simple. But most of the Instagrammers don’t know it yet because it is somewhat hidden and isn’t visible straight away. 1. 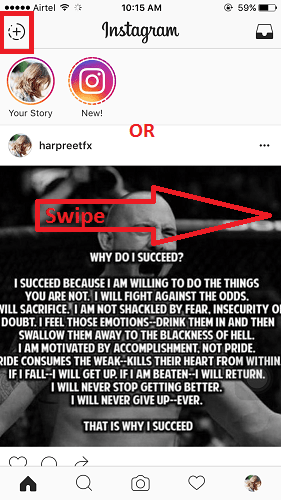 Open Instagram and tap on Create Instagram Story icon at the top left corner or swipe right on your news feed to create a story. 2. 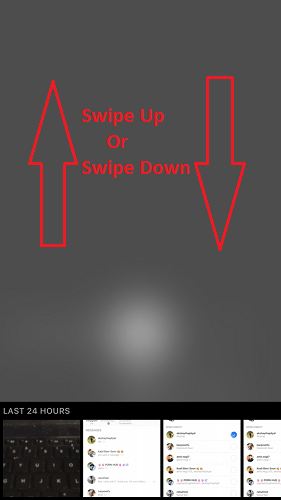 Now instead of clicking a snap or recording a video, Swipe downwards from the top of the screen. With the latest update now you can Swipe downwards or even upwards. The photos/videos from Gallery will show up at the bottom now instead of on the top which used to be the case earlier. 3. Woah! You will see all the pictures and videos you captured in the last 24 hours. This is because Instagram stories are all about what happens in last 24 hours. But nevertheless, you will be able to upload photos and videos from your phone’s gallery to Instagram stories which is what you wanted. 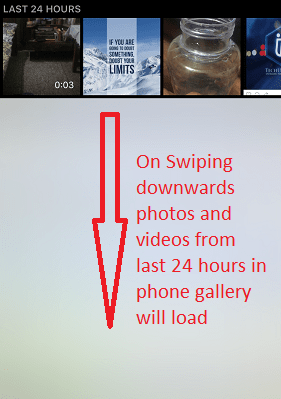 Important: If you are not able to see photos/videos from Camera roll/Gallery even after swiping then it is because you have no media(photo/video) in your gallery from last 24 hours(you will see the message shown in picture below instead of media). In that case, you can follow upload photos older than 24 hours to Instagram Story. 4. Select the desired photo. After which, you may add text, filters, drawings to the photo or video and select the Circular icon with a check-mark at the bottom center. 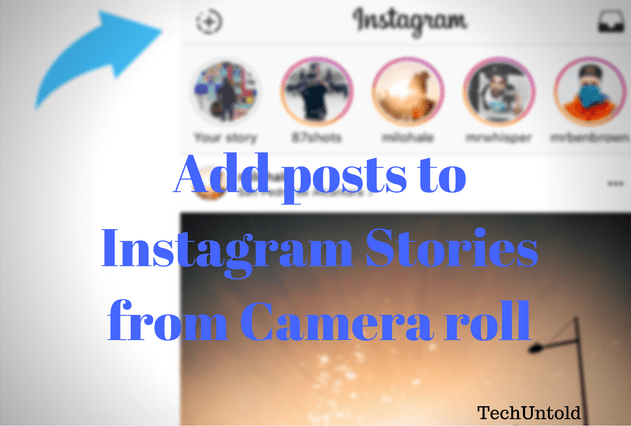 Your photo or video from Camera roll will be added to your Instagram story.